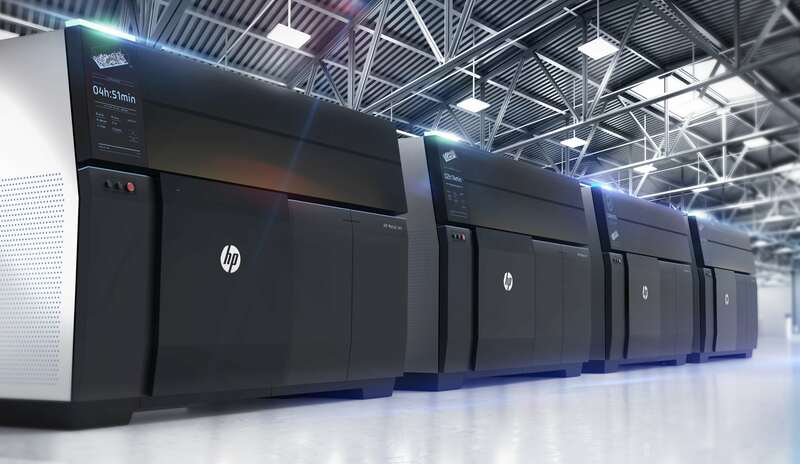 Today at the 2018 International Manufacturing Technology Show (IMTS), HP Inc. launched HP Metal Jet, the world’s most advanced 3D printing technology for the high volume manufacturing of production-grade metal parts. Providing up to 50 times more productivity at a significantly lower cost than other 3D printing methods, HP Metal Jet is being deployed by manufacturing leaders GKN Powder Metallurgy and Parmatech for the factory production of final parts. Customers placing orders include global stalwarts Volkswagen and Wilo and innovative vertical market leaders such as Primo Medical Group and OKAY Industries. HP Metal Jet is a groundbreaking, voxel-level binder jetting technology leveraging more than 30 years of HP printhead and advanced chemistries innovation. With a bed size of 430 x 320 x 200mm, 4x the nozzle redundancy and 2x the printbars, and significantly less binder by weight, HP Metal Jet delivers greater productivity and reliability at a low acquisition and operational cost compared to other metals 3D printing solutions. HP Metal Jet will start with stainless steel finished parts, delivering isotropic properties that meet or exceed ASTM and MPIF Standards.